WHY GO: With the demise of “extractive industries” (coal and timber), Southwestern Virginia is reinventing itself through its cultural offerings. 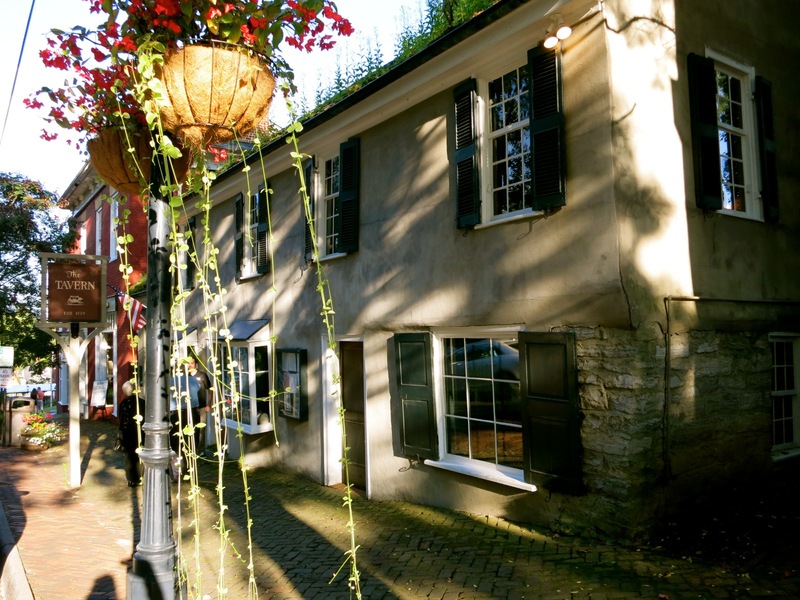 You’ll most likely be surprised by the caliber of theater, music, food and lodging in the corner of Virginia wedged between Tennessee and Kentucky, a renaissance led by the small but worldly towns of Abingdon and Bristol. Come set a spell, listen to home-grown bluegrass, learn about “The Big Bang of Country Music,” watch some future Hollywood or Nashville star on a small-town stage, and then stay in a brand-spankin’ new boutique hotel. Southwest VA provides honest to goodness heart, talent, and hospitality with a heavy dose of luxury. 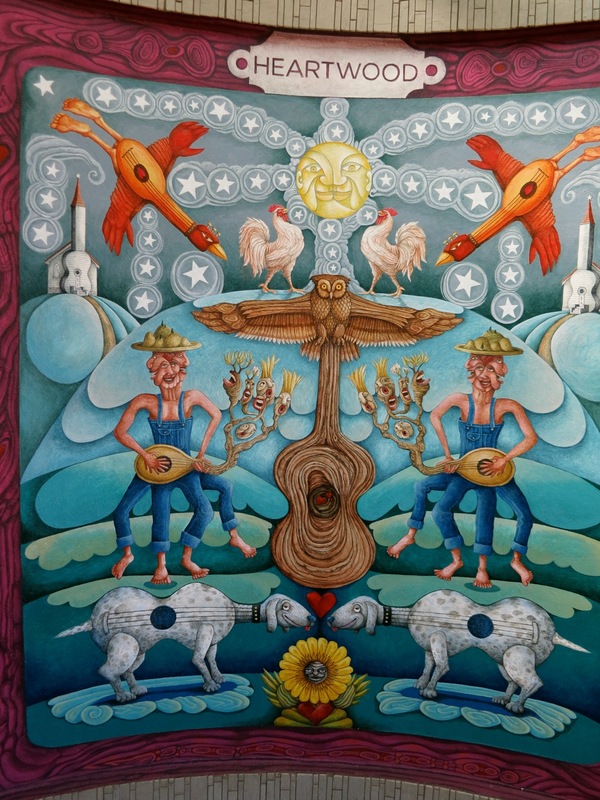 One whole room in Heartwood is devoted to The Crooked Road – 330 miles of meandering Southwestern Virginia back roads that propels road-trippers from one obscure music venue to another. 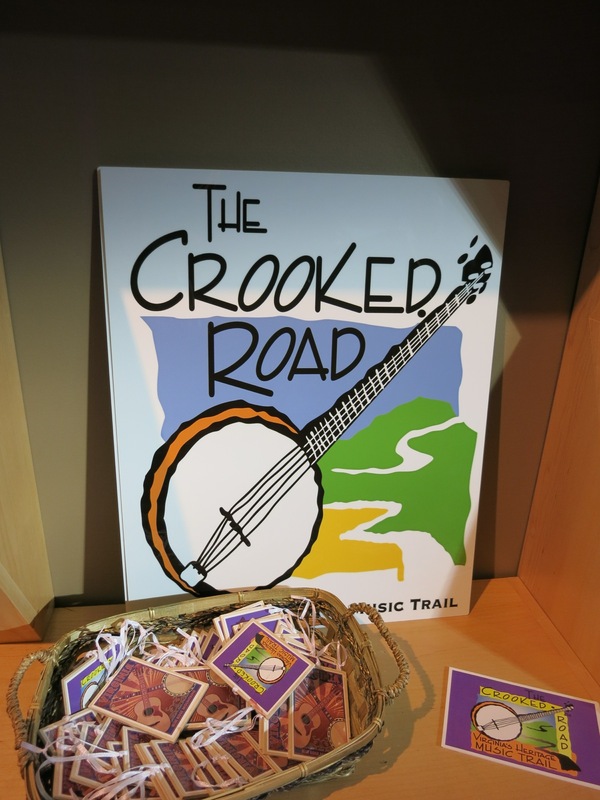 Spearheaded by Bluegrass musician Jack Hinshelwood and folklorist, Joe Wilson, The Crooked Road preserves this “everyday fabric of life, this precious heirloom” while helping musical communities in ways they never had before. Open Mon-Sat 9-5, Sun 10-3, Free. VISIT/Abingdon: Arts Depot. If you are a fan of exceptional local art and crafts, you can’t get more local than this. Seven artists moved their studios into this renovated former railroad station, and you can engage with each while you watch them create. Helen Morgan fashions hedgehogs and other animals from yarn and cloth, and Nancy Garretson forms 3-D Tapestries that must be seen to be believed. At price points of $900-$1,500, these one of a kind handiworks are a steal. Open April – Dec Thur-Sat 10-4, Jan-March 11-3, Free. VISIT/Abingdon: William King Museum of Art. In a former All Boys Academy school building, the William King MOA (named after a wealthy local who made his fortune in salt) is the only accredited art museum within 100 miles. Rotating exhibits (none permanent) in beautiful galleries are well thought out, scholarly and compelling, and best of all, free. 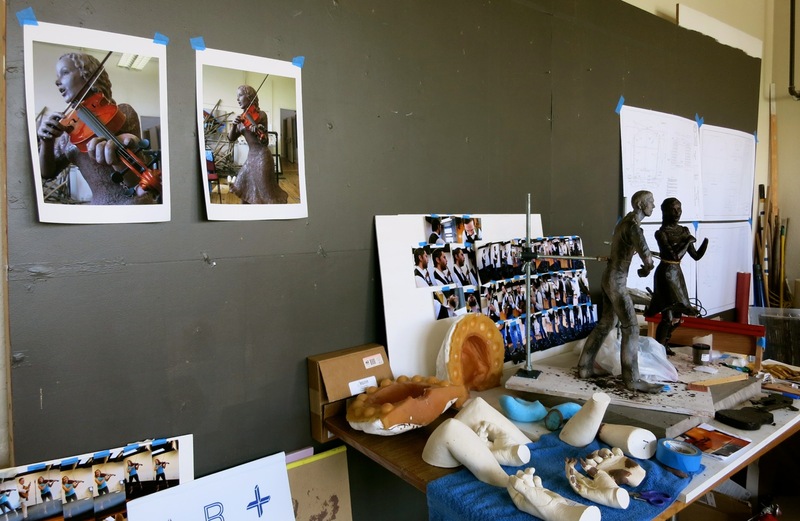 Be sure to check out art in progress in the messy-intriguing Artist Studio. Open Mon-Sat 10-5, Sun 1-5. Free. 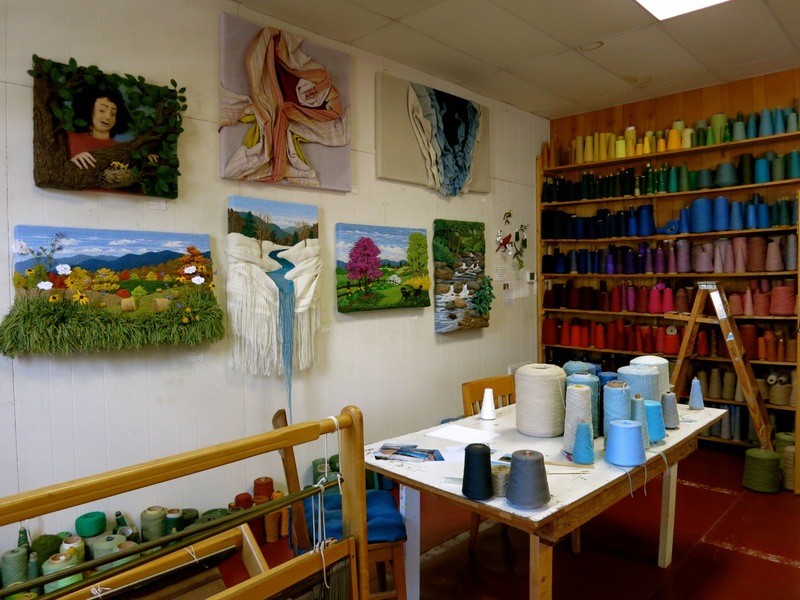 VISIT/Abingdon: Holston Mountain Artisans. In its 45rd year, this gallery is one of the longest running artists cooperative in the United States, with over 100 craftspeople represented. Worth it to see what creative minds and talents are up to in Southwestern VA. Open March-Dec. Mon-Sat 10-5:30, Seasonal Sundays 1-5, Jan and Feb Thur-Sat 10-5:30, Free. BIKE/Damascus: The Virginia Creeper Trail. An old, abandoned railroad right-of-way has put the tiny town of Damascus (pop 960) on the map. That’s because it’s midpoint on the 34-mile Whitetop Mountain-to-Abingdon Virginia Creeper Trail – Southwest Virginia’s hottest recreational sensation. In the late 1800’s through early 1900’s, trains would “creep up” nearby mountains to haul 30,000 acres of cut timber for regional furniture factories, but when the economy flailed, the railroad vacated the area. Seeing opportunity in the stunning landscape along the former tracks, locals pushed to have a bike path created. Now, over 200,000 people a year (and growing) ride from mountaintop, along and over rivers, through valleys and into towns. There are seven bicycle rental shops in Damascus alone. 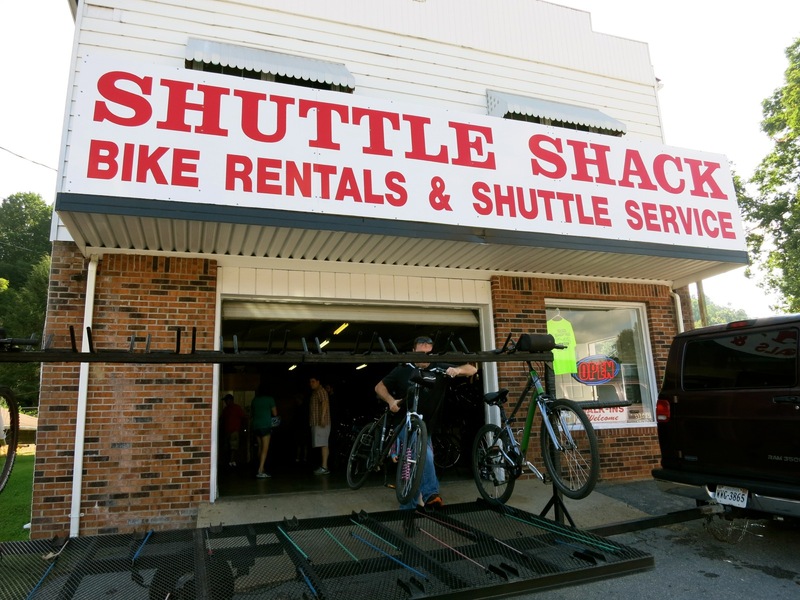 For $24 you can rent a bike and shuttle to the summit of Whitetop Mountain where the trail begins. 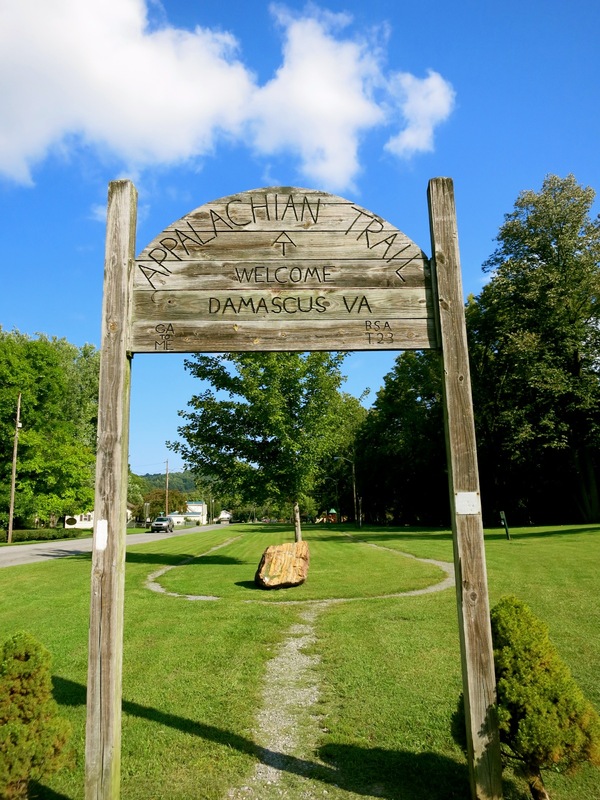 Damascus is also on the Appalachian Trail and hosts the 30,000 strong “Appalachian Trails Days” every May – the largest gathering of hikers on the whole trail. SEE/Abingdon: Barter Theater. In 1929, Abingdon born actor, Robert Porterfield, was trying to find fame and fortune in New York City, but he and his friends were starving as the Depression hit the entertainment industry hard. So, Porterfield returned to Virginia with his troupe in tow to barter his talents for food, trading “Ham for Hamlet.” Thus the “Barter Theater” was formed. Many well-known actors– including Gregory Peck, Ernest Borgnine, and Kevin Spacey – earned their chops on these boards. So, watch a revival of a favorite show here and you might catch the next big name. Tickets $28-$44. SHOP/Abingdon: Farmers Market. If you happen to be in town on Tues afternoon or Sat morning, this year-round regional market has been called the best of its kind in the country. You’ll find fruits, veggies, meats, wine, clothing, soaps and more, unloaded from vans fresh from farms and studios. The market is unique in that it is “producer-only” – if you don’t “make bake it or grow it,” you can’t participate. Organized in 2001, it was one of the first markets in the state to accept food stamps and is a business incubator for the town. Connecting restaurants to local farmers, the Abingdon Farmer’s Market helps keep local farms in business. Saturdays 8-1, Tuesdays 3-6 year round, Free. SHOP/Abingdon. 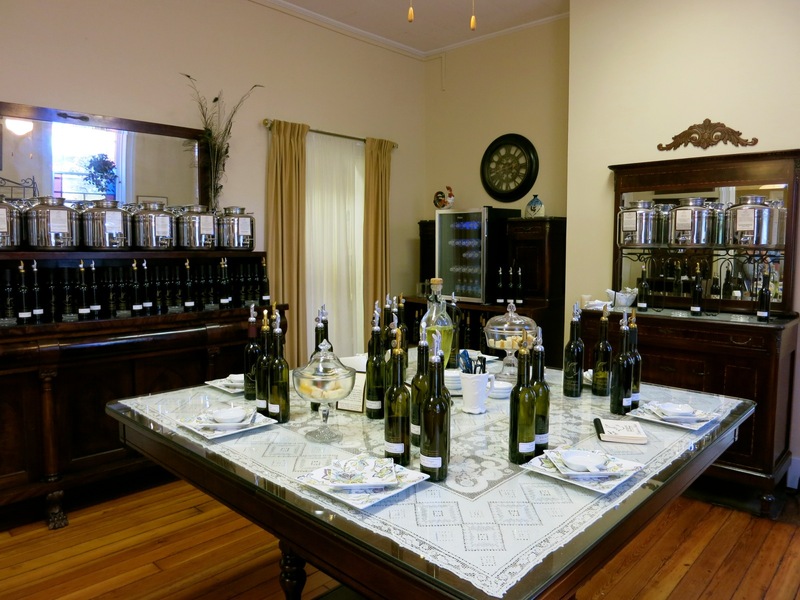 Abingdon Olive Oil Co. What sets this Olive Oil emporium apart from others? That would be its owner K.C., who dishes delightfully on the health benefits of both the oil and vinegars that she sells. Take the tour and you’ll be sure to walk away with a couple of bottles and accessories. SEE/Hiltons: Carter Family Fold. 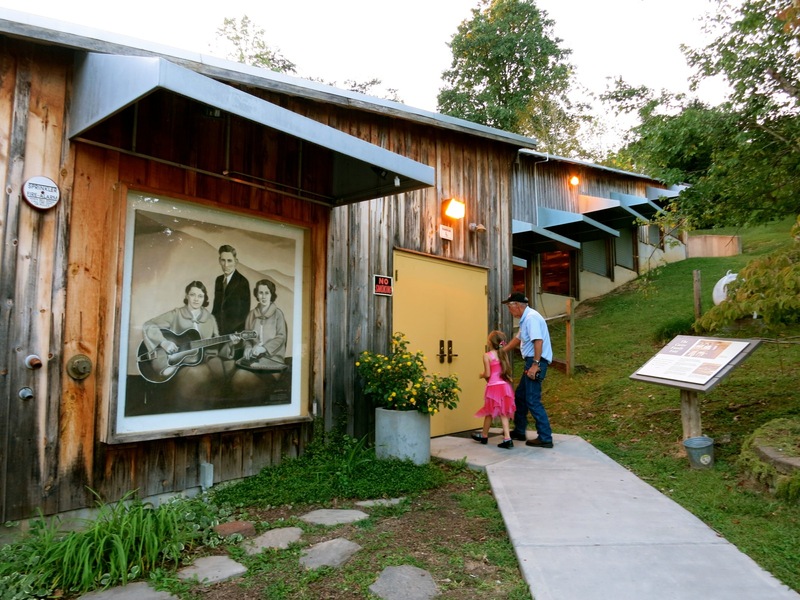 About 30 miles outside of Bristol and Abingdon (40 minute drive) on country curvy roads that enfold and enchant, you’ll find the Carter Family homestead and 820-seat theater – a gift from June Carter’s husband, Johnny Cash in the 1970’s. (Cash’s last appearance was on this stage for the July 4th weekend 2003. He died that September). The Carter Family patriarch, A.P. 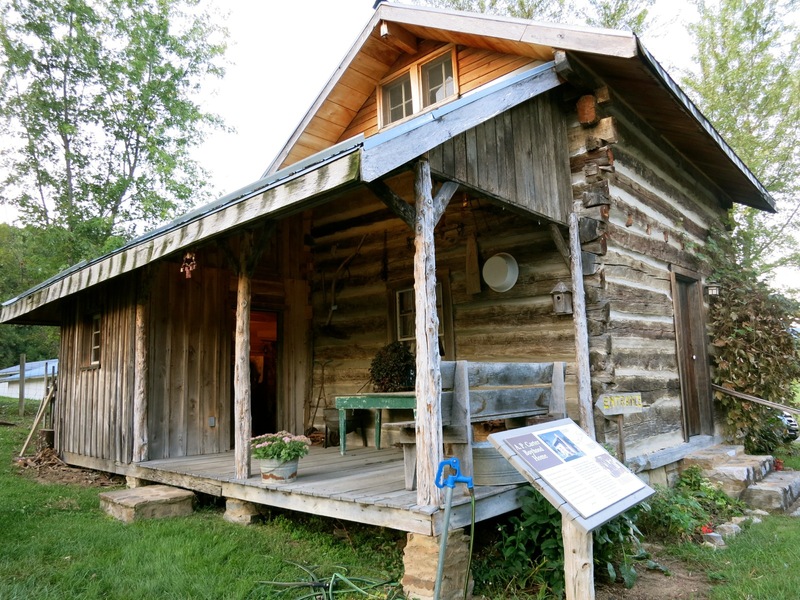 Carter, lived in this fold of the Appalachian Mountains with his brood in a simple log cabin where all eight slept together in an upstairs loft. 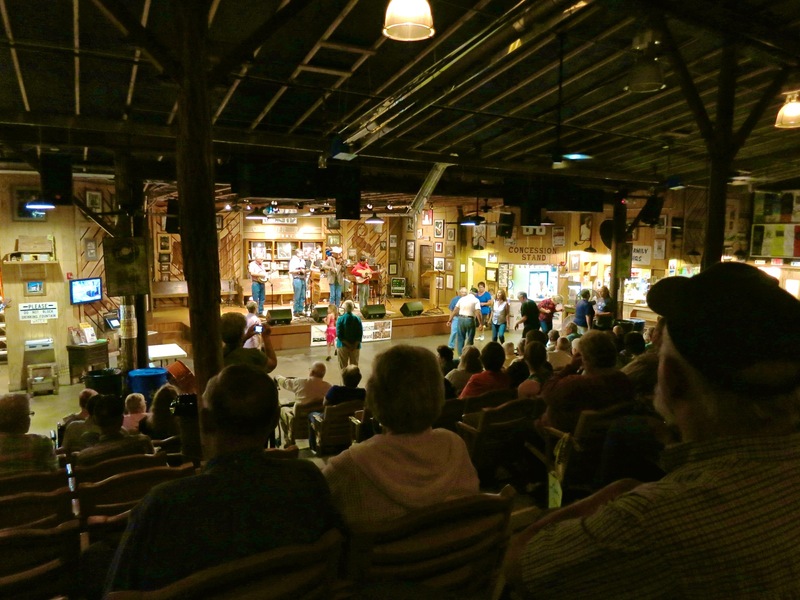 Visitors who find their way here can see it and a small museum housed in what was A.P.’s grocery store, before settling in to experience the weekly show featuring the best of Bluegrass and Fiddle music. With an unshakable faith in her family tradition, A.P.’s granddaughter, Rita Forester, keeps the music alive in this incredibly down home place. You can tell the regulars from visitors – they’re the ones flatfoot clogging like unrestrained Riverdancers on the dance floor. 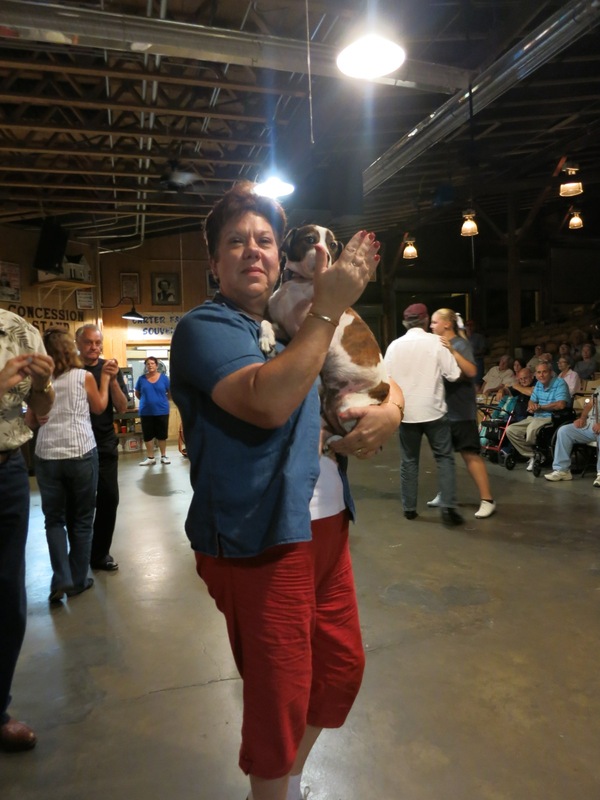 One woman even waltzes with her dog, Opie. Little kids learn from the grown-ups, and grandpas clog with towhead toddlers. It’s a scene that will surely melt your heart in this fast-paced, plugged in world, as will Rita’s call for prayer for those ill in the community, and her acknowledgement of guests who come from near and far, many from foreign lands. Rita cooks all the food available in the concession stand – Pork BBQ, Chicken Biscuit, and tickets are only $10 each ($1 for kids 6-11 and free under 6). FYI – you won’t find alcohol on the premises. “This is a family place.” $10, Shows every Saturday night at 7:30 pm, but come at 6 to tour the compound. WALK: State Street, Bristol. 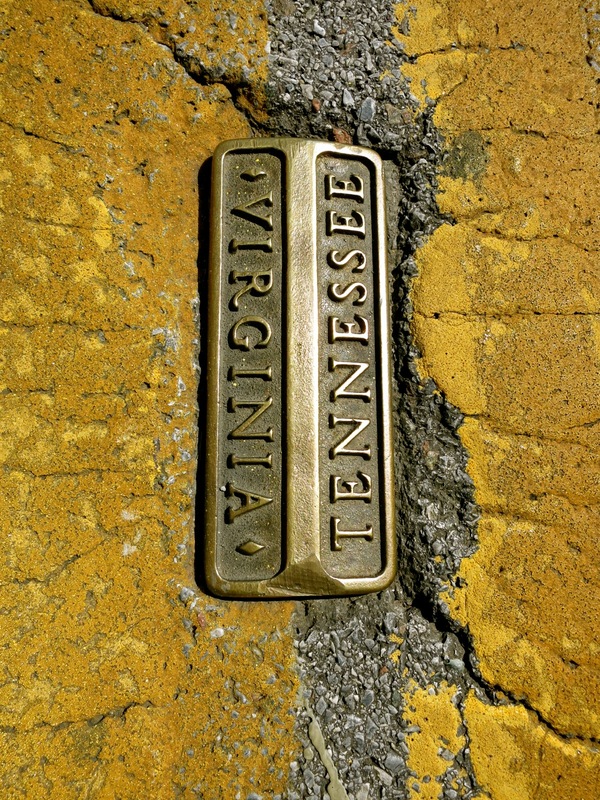 Walk down the center of the street and you’ll be straddling Virginia and Tennessee. The TN side has the NASCAR racetrack, but the Virginia side is where the “Bristol Sessions” were held. (see, Birthplace of Country Music Museum). 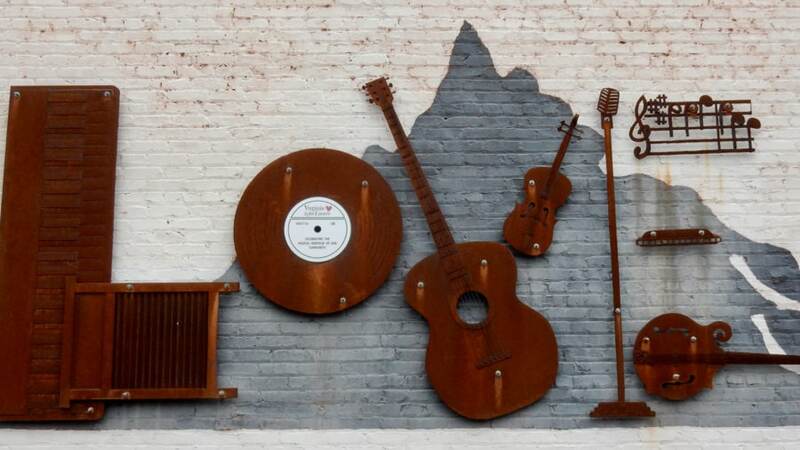 VISIT/Bristol: Birthplace of Country Music Museum. 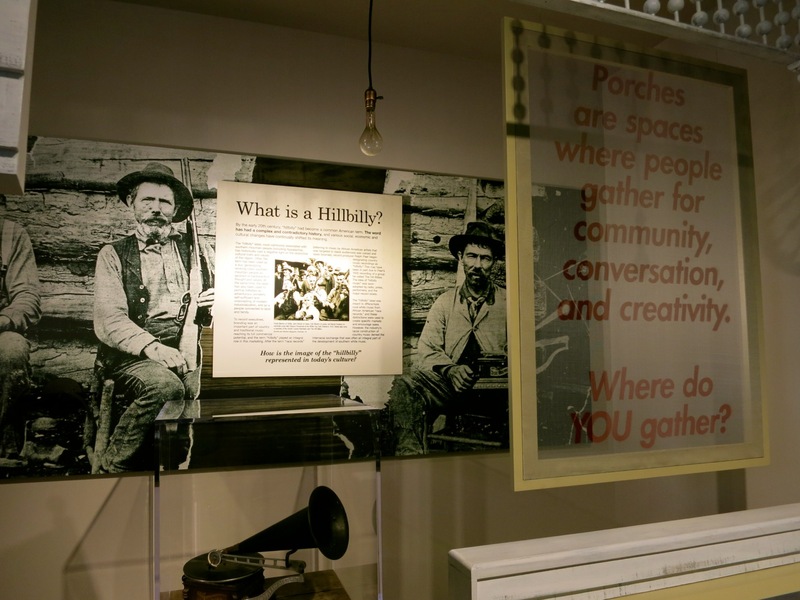 The image of Appalachia as a careworn and weathered woman peeling apples on a decaying porch is not an accurate one, as you’ll discover as you make your way through this Smithsonian Affiliate Museum, which celebrates a complex musical style far from the “country bumpkin” stereotype. Walk through the doors of this paean to The 1927 Bristol Sessions, and you’ll hear rootsy bluegrass music piped through speakers. These speakers, and the machines that both play and record music, are the reasons that this museum is here. At a time when you could “Trade in your mule for your first Motorwagon,” Ralph Peer, a record producer for the Victor Talking Machine Company in NYC, came to the southern crossroads of Bristol to find musicians who couldn’t make it up to the recording studios in New York. Counting on the public’s growing demand for “hillbilly” music, Peer utilized the latest in recording technology to capture 76 songs by 19 artists over a ten-day period in July 1927, paying each performer $50 per song – a kings ransom at the time. Peer proved prescient. 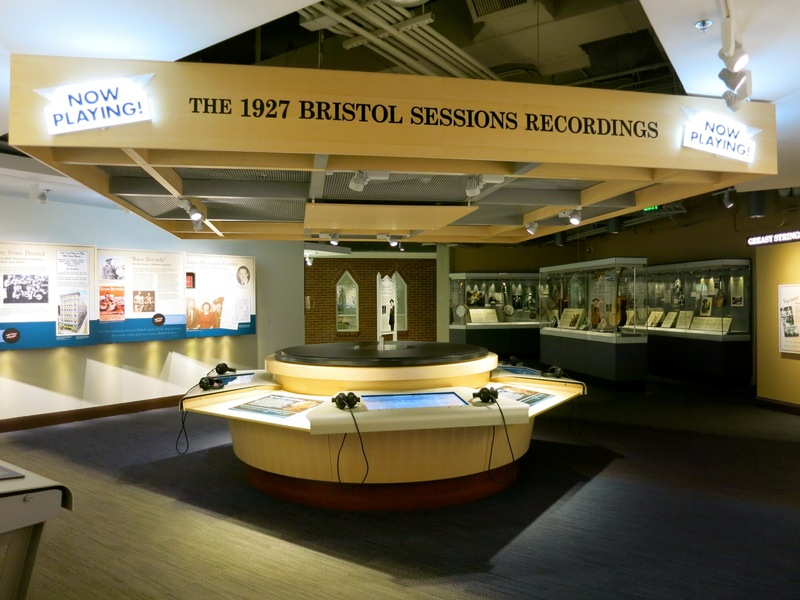 The Bristol Sessions, considered by industry insiders to be “The Big Bang of Country Music,” made celebrities of Jimmy Rogers and The Carter Family – and Peer a wealthy man. 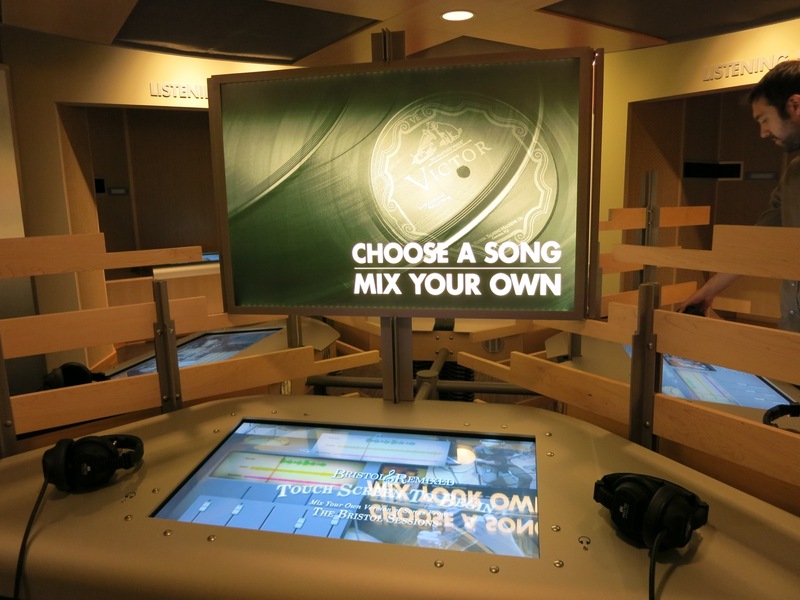 In addition to the history of the Sessions and technical aspects of the recording industry, you can “sit in” on the original recordings, dance along to other tunes and even get to try your hand at singing in a blessedly soundproof Karaoke Booth. Open Tues-Sat 10-6, Sun 1-5. $13. VISIT: Benjamin Walls Gallery. It’s quite the shock to find a world-renowned photographer in this unassuming place, but here, next door to the soon to be reopened Cameo Theater, you’ll come across some pictures that you swear you’ve seen before. That’s because some of these photos of African beasts, Western US canyons, and other landscapes from Maine to California and across the world have been in DC’s Smithsonian National Museum of Natural History. Even if you have no desire to purchase one of these beauties (available in Limited Editions of 5, 50, 500, or 950 copies) come in to gaze upon them. Walls, all of 38 years old, has captured the best of Mother Nature. If a Walls photo is too rich for your wallet, buy the book of his images: American icon, Dolly Parton, wrote the forward. GO: Cameo Theater. New owner, Brant Buchanan, wants to take The Cameo “back to 1925” when it was first built as an entertainment venue. In the process of being restored, Buchanan hopes to have it open by the end of 2018, with a state of the art sound system that weighs 2,000 lbs: “literally a ton of sound.” Already, Doyle Lawson and Quicksilver are lined up for December 1st. Buchanan runs a Funeral Home in town, and considers the Cameo his “escape:” providing a happy place vs. sad. 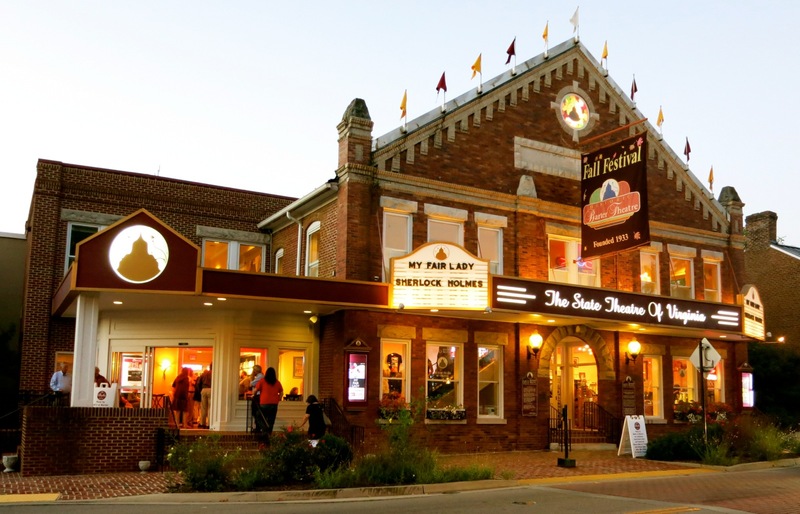 Last year, a friend recommended that Buchanan buy the old theater and restore it. He had never been inside, but “as soon as I saw it, I fell in love with the space.” Though the venue’s 550 seats had been refurbished a few years ago, Buchanan is updating color palate while keeping some walls and trim original to 1925. Harking back to its roots, he’d like the theater to offer staged plays, music, some movies; “the whole shebang.” When the Cameo was first built, there were two staircases to the balcony: one for Whites and the other for Blacks. Though segregated, this was one of the first theaters to even allow African Americans in the same room. Now, a deck off the balcony will serve as a VIP area for 30-35 people, with food service and private bathroom. In conjunction with the Birth of Country Music Museum, the Cameo will be a huge draw for Bristol. SHOP: Southern Churn, Hester’s Country Store, and Cranberry Lane. All owned by Carol Hester, these State Street establishments – connected as one large store inside – have been tourist destinations for over 19 years for families on their way to Gatlinburg and Pigeon Forge. Each year, Hester sells over 30,000 lbs of fudge, as well as old-fashioned candies and chocolates at Southern Churn. You’ll find all kinds of great baby and housewarming gifts at Hester’s and Cranberry Lane as well. TASTE/EAT: Studio Brew. Going back to its roots, the building was originally erected in 1908 as a distillery and warehouse for Happy Valley Whiskey barrels, and over time became a photography studio and appliance warehouse. Now, thanks so owners since 2014, Pam and Erich Allen, it’s back in the booze-making biz, with brews named Czardust (Russian Imperial Stout), Dancing Monk (Belgian Ale), Juicy Tube (New England IPA), Hop-A-Delic Kewl-Aid, the Mex-I-Can (Vienna Lager), and my favorite, The Ferguson – a delish grownup “chocolate milk:” oatmeal-chocolate milk Stout. The tasting room is fun and witty, with flights served in painter’s palettes, and beer taps fitted on industrial pipes. Not into frosties? 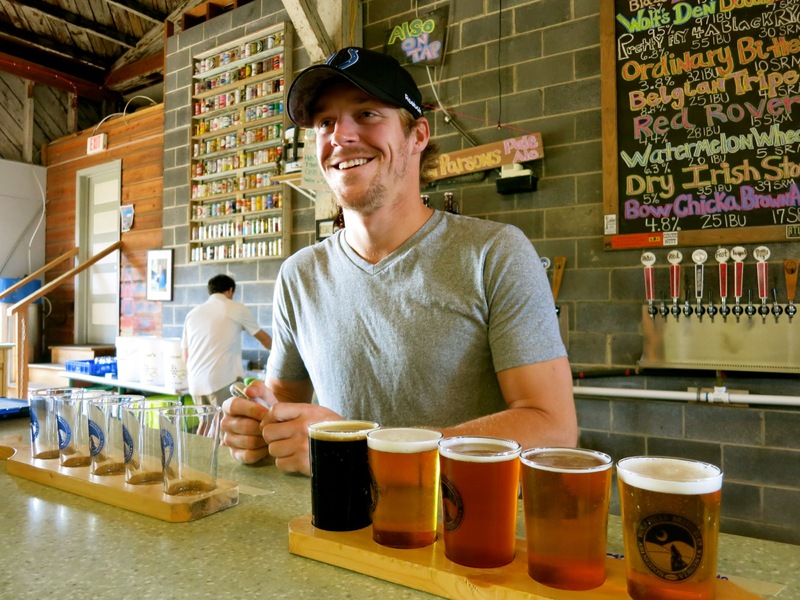 Studio Brew makes the delectable Big e’ze Root Beer – in fact, it’s 10% of its business. Pair up a drink with wood-fired pizza, sandwiches or the most popular – “Kraut Poppers” with sour cream, bacon, and sauerkraut. EAT/BRISTOL: Vivian’s Table at The Bristol Hotel. With its distressed wood tables, contemporary crystal, and orange napkins for pop, Vivian’s Table showcases the region’s traditional scratch-made food and locally sourced ingredients – with a twist. Thanks to a crackerjack Executive Chef, Rocco Pisera, the food here is flavorful, recognizable but inventively tweaked, and rather reasonably priced: Shrimp and Grits ($24), Stuffed Trout ($26), and Pasta Dishes ($24). DRINK/BRISTOL: Lumac at Bristol Hotel. Lumac is Bristol’s first rooftop bar, and offers panoramic views of the nearby Appalachian Mountains. Its modern lines offer – dare I say it – a hip place for locals and visitors to drink in both the views and craft cocktails, like “A Good Place To Live,” which consists of Vodka, Kahlua, and Cream of Pumpkin. EAT/Bristol: Burger Bar. 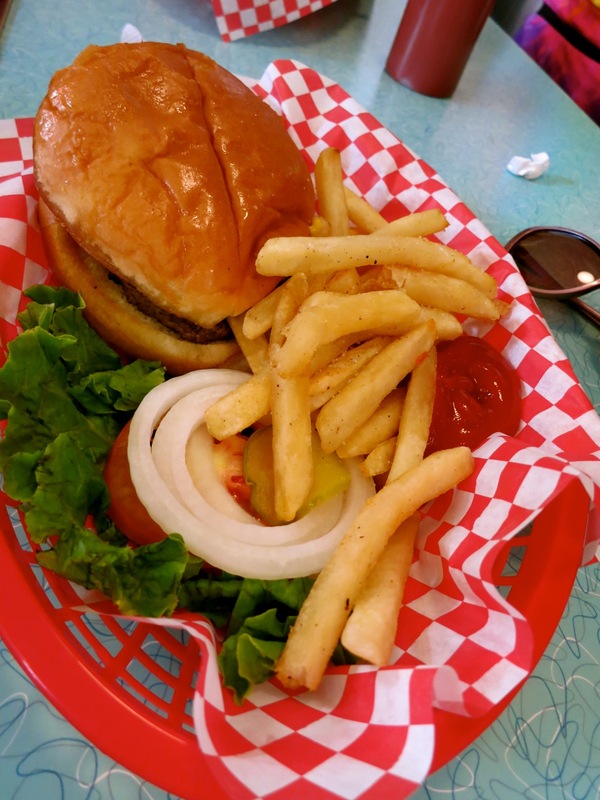 You got your “plain Jane” burger for $4.95, a Bacon Cheese for $6.95 and an assortment of milkshake flavors at this iconic burger joint where “Hank Williams was last seen alive” (right before his car accident). EAT/Bristol: Eatz on Moore St. Soul food, great fried chicken, and perfect Southern cuisine. EAT/Abingdon. The Tavern. The Tavern was built in 1779 “on the wilderness road” as a stagecoach stop and served as a Civil War hospital in the 1860’s. Ask to see the charcoal numbers on the walls of the third floor (purported to be haunted), indicating where injured soldiers’ beds were placed. Dinner is a two hour affair, with excellent signature “Black and Blue Medallions of Beef” ($35) and Veal Schnitzel ($30). Pricey, but worth it for the atmosphere, quality of food and experience. EAT/Abingdon. 128 Pecan. 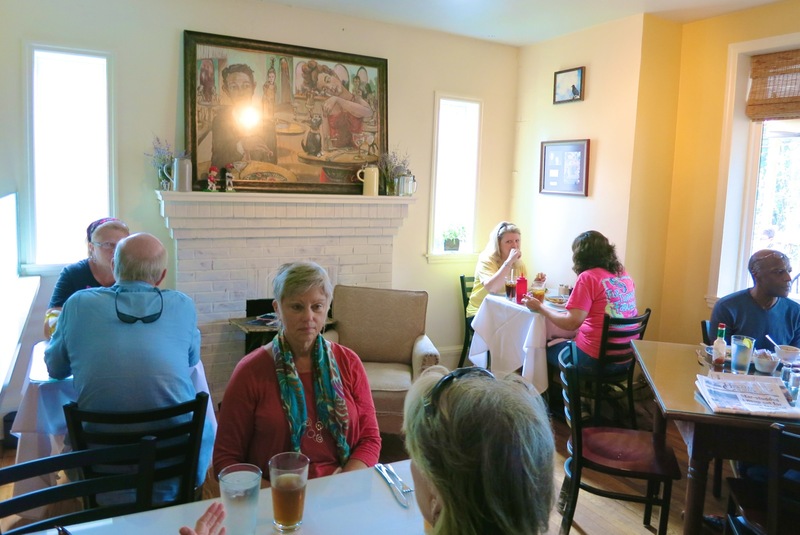 Pictures of owner Jack Barrow and his family adorn of the wall of this cute, colorful eatery. Known for its sop-it-all-up Tomato Bisque (cup $3, bowl $5), which can serve as a meal in itself, the sandwiches and Jerk Chicken Salad ($11.50) are excellent as well. EAT/Abingdon. Rain. One of Abingdon’s newest places, it hit the ground running with a contemporary menu and consistently good food. DRINK/Abingdon. Wolf Hills Brewery. Join in the know locals at this rustic, barnlike former icehouse, for what amount to a kegger with live music (weekends) and some of the freshest brews around. Maven’s favorite? The White Blaze Honey Cream Ale. WHB is also a favorite stop for cyclists at the end of the Creeper Trail. STAY/BRISTOL: The Bristol Hotel, Virginia. Next door to the Birthplace of Country Music Museum, this brand new boutique hotel (opened Oct. 2018) has a winning formula for “high-end” travelers seeking an upscale, stylish overnight stay and is a new Maven Favorite, with its own write-up HERE. STAY/ABINGDON: The Martha.It used to be The Martha Washington Inn, but this gem of a Historic Hotel of America, was rebranded to reflect more modern tastes. 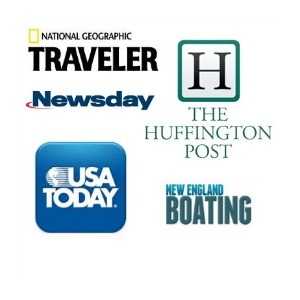 This was a Getaway Mavens Top Pick – read the complete review here.